Experienced home gardeners know that not only the plants make a garden special, but also the wildlife. There is enjoyment in watching non-migratory birds gathered around your feeders during the winter months but you can invite migratory birds to make a stop in your garden during spring and fall migration. 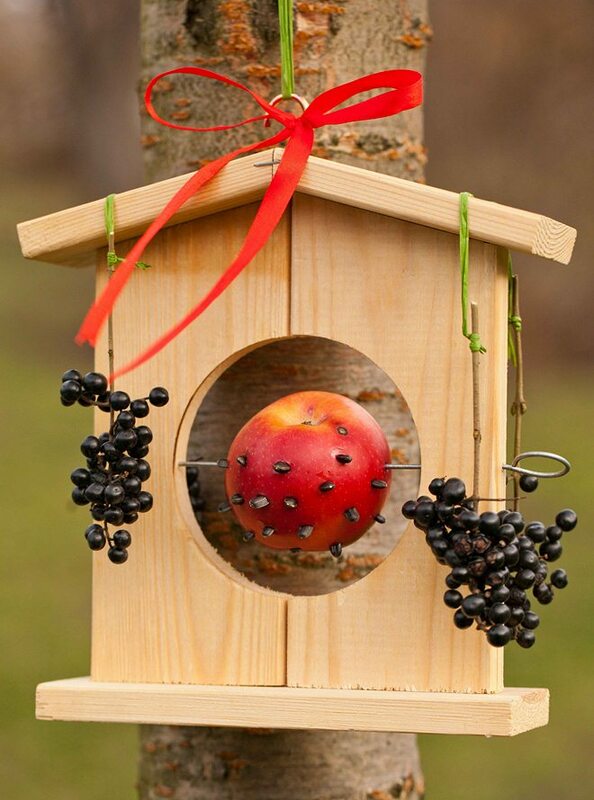 Making a bird feeder is a fun and easy task, especially for kids. 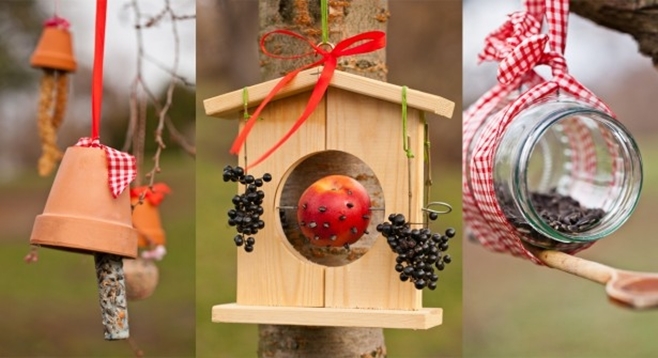 Here are three easy to make and original DIY bird feeders that you and your children can enjoy putting together and hanging outside! 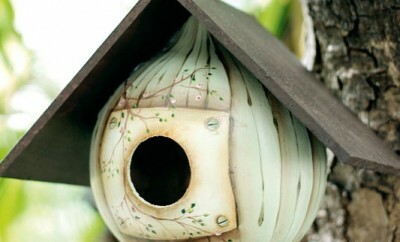 How to make it: Enlarge the hole of the wooden birdhouse using the hole saw. Position an apple with sunflower seeds in the middle of the hole and insert a metal skewer through the fruit. Hang berry clusters on green raffia. How to make it: Thread the ribbon through the clay pot hole. 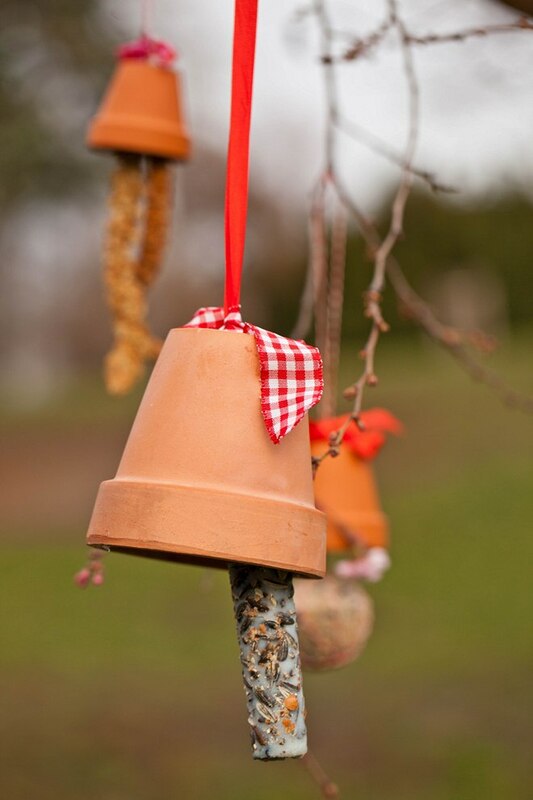 Tie a wooden stick dipped in lard and bird seeds inside the clay pot to create a stop for the birds. How to make it: Attach the wooden spoon to the glass jar using tape. The handle will serve as perch stand for the birds. Wrap gingham ribbon around the glass jar and tie a knot. 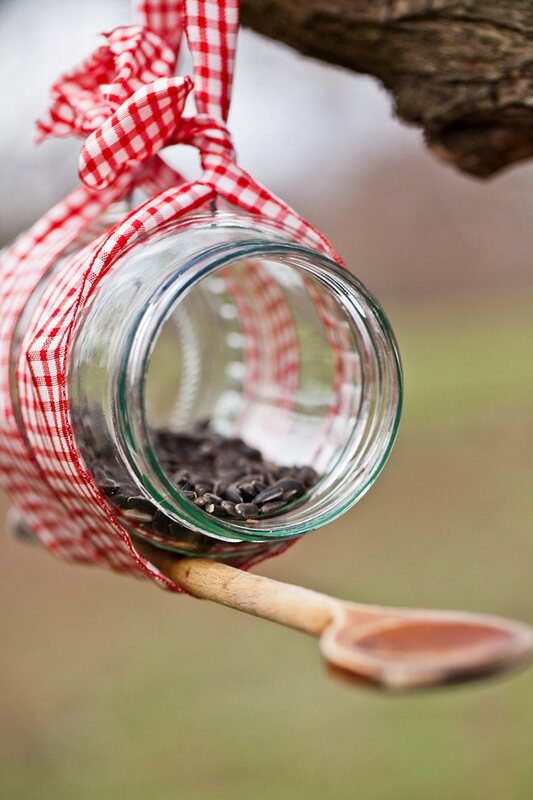 Fill the glass jar with bird seeds. The trick: Birds need food like seeds, peanuts, hazelnuts, dried fruits, cereals alone or mixed with lard or unflavored gelatin. But do not give them bread or candy that would inflate their stomach.